A few clouds. Low 66F. Winds SE at 10 to 15 mph..
Tasmin Mitchell celebrates with a camper during his T-Mitch Community Camp last Saturday. DENHAM SPRINGS – Kendra Johnston, a sixth-grader at Walker’s North Corbin Elementary, made it a point Saturday to deliver a special message to Tasmin Mitchell. Johnston felt it was the least she could do for the person she credits most with launching her basketball career. 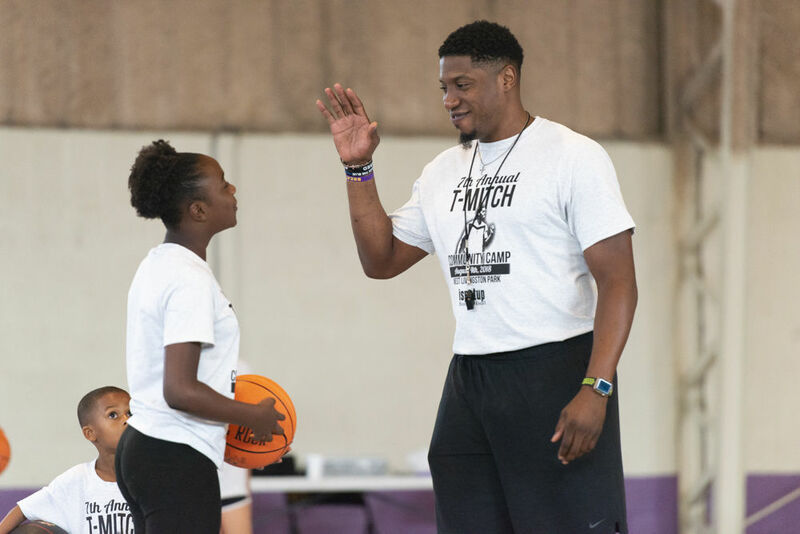 You have to go back to this time a year ago where it all started – the T-Mitch Community Basketball Camp – when Johnston attended her first such event at the Lockhart Community Center. She had so much fun, she decided to return and approached Mitchell during an idle moment to convey her feelings. Johnston’s story is a prime example of why Mitchell, now the 32-year-old Director of Student-Athlete Development for LSU’s men’s basketball program, continues to offer the camp – free of charge. It’s a way of giving back, not only to the Denham Springs community, but to the neighborhood he grew up in while living with his mother and grandmother. Mitchell grew into a 6-foot-7 All-American basketball player while at Denham Springs High School and later enjoyed a decorated career at LSU, where he graduated in 2010. Mitchell played for a year in the NBA’s D-League with the affiliate of the Cleveland Cavaliers before globetrotting overseas for six years to pursue his hoop dreams in Russia, Israel and France. Throughout his success and travels, though, Denham Springs was never far from Mitchell’s mind and his old neighborhood – in particular the Lockhart Community Center – never far from his heart. For approximately five hours on Saturday, the Lockhart Community Center was transformed into basketball’s version of nirvana as far 30 kids ranging from kindergarten to sixth grade were concerned. Mitchell may be the face of the camp for his organizing and sponsoring of the event for a seventh straight year, but he surrounds himself with a group of volunteers who also care about the welfare of children and are equally committed to giving back in some small way. 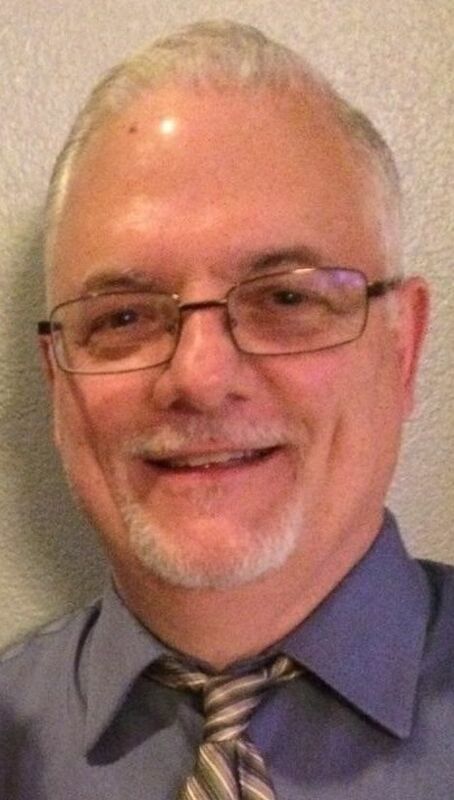 Count people such as Drexel Robinson, a Marshal with the Livingston Parish Sheriff’s Department, who ran the local park during Mitchell’s younger days and someone he still considers mentor. Mitchell also had close friend and Denham Springs High assistant coach Tiras Magee on hand, along with DSHS head coach Kevin Caballero and even a surprise visit from Mitchell’s current boss – LSU basketball coach Will Wade. The only thing that’s stopped Mitchell from hosting greater numbers and impacting more kids is the NCAA and its stance on undue influence since Mitchell is employed by LSU and would have had “recruitable” aged kids attending his camp – hence the cutoff at sixth grade. Once he concluded his professional basketball career, in part because of the Great Flood of 2016 and the effect it had on several family members, Mitchell landed a spot on Wade’s staff in more of a secondary role to provide guidance and serve as a positive role model for players. The gym, a two-minute walk from Mitchell’s childhood home, was filled by the noticeable bounce of the ball and squeaking of shoes through an assortment of fundamental drills, but the true beauty of the camp took place after the whistle. There were constant messages filled with life lessons delivered by camp volunteers who set up Mitchell to slam home his own points on paying attention to following directions and carrying out instructions.